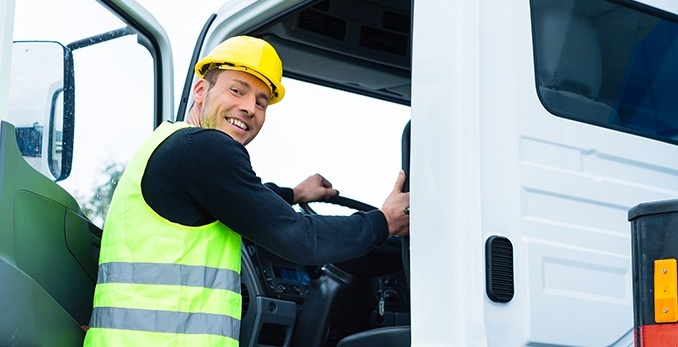 The Department of Transportation (DOT) requires that all commercial motor vehicles (CMV) with a gross vehicle weight rating of more than 10,001 pounds undergo an inspection every year to make sure all parts of the CMV are in good working order. There are six levels of DOT inspections, which simply refers to the methods that will be employed during the assessment of a vehicle and the driver. and medical card or waiver, if applicable. The inspector will also check for any drugs/alcohol. Finally, the professional conducting the evaluation will also inspect the vehicle’s seat belt, exhaust system, turn signals, tail lamps, head lamps, steering wheel, wheels and rims and fuel system. A Level I inspection typically takes between 45-60 minutes to complete. 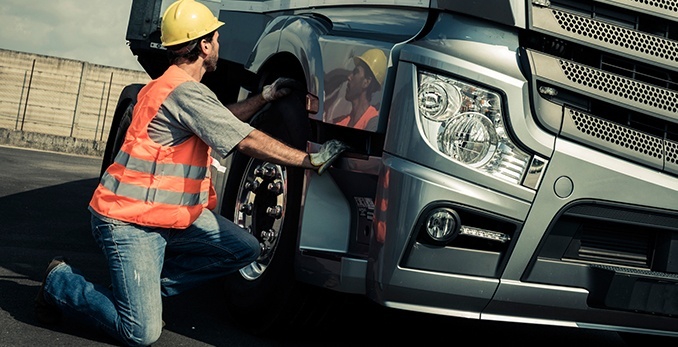 Level II inspections involve examining everything in the level I inspection with exception of the parts that involve the inspector getting under the CMV. 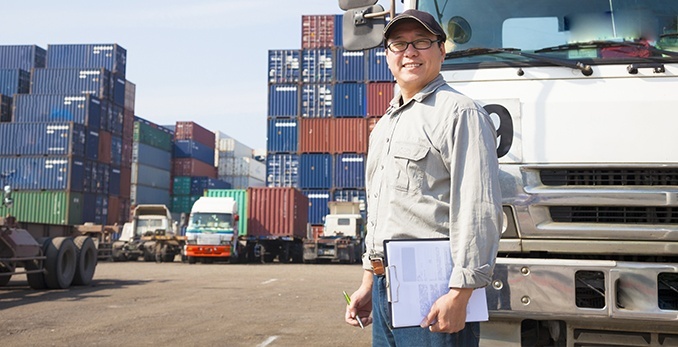 DOT driver vehicle inspection checklists include vehicle items a driver should inspect on a day to day basis before and after driving the vehicle to be in compliance with DOT regulations. The Level II inspection takes about 30 minutes to complete. 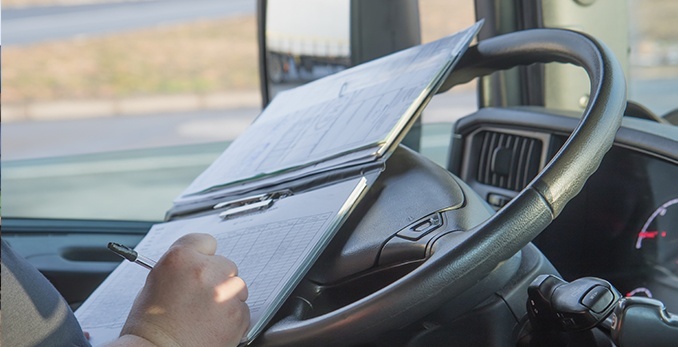 To assist drivers in conducting these inspections, we've developed a pre-trip inspection DOT-compliant checklist that drivers can use to record their findings. During this check, the inspector will take an in-depth look at the vehicle operator's driver's license, medical certification and daily log. The inspector will also review any driver vehicle inspection reports signed by the driver. Level III inspections commonly take about 15 minutes to complete. Watch IndustrySafe's video to learn how software can help you track your DOT Accident Register Log, driver incident history, license, and medical information. These are one-time examinations that take a close look at a specific item. They are typically scheduled to invalidate a previous claim about a vehicle. The time to complete a Level IV inspection will vary depending on the circumstances. Level V inspections look at everything specified under Level I. The only difference is that they are executed without the driver present. Level V vehicle maintenance inspection checklists include key vehicle maintenance items that should be reviewed on a periodic basis to ensure safety and compliance with DOT regulations. Level V inspections can take up to 30 minutes to complete. This inspection is used for certain radiological shipments. Select radiological shipments only comprise highway route controlled quantities set forth by DOT's title 49 section 173.403. The Level VII inspection will typically take up to 60 minutes to complete. A special nuclear symbol decal has been developed for vehicles meeting the Level VI inspection criteria. It is attached to the CMV at the point of origin of the shipment and removed at the point of destination. This nuclear symbol is only valid for only one trip. Are you prepared for a DOT inspection? To conduct on-going vehicle inspections for your organization, you may want to consider downloading IndustrySafe's mobile app. This safety software enables you to conduct inspections in the field, allows you to use pre-built checklists, upload pictures and can be used with or without internet access.